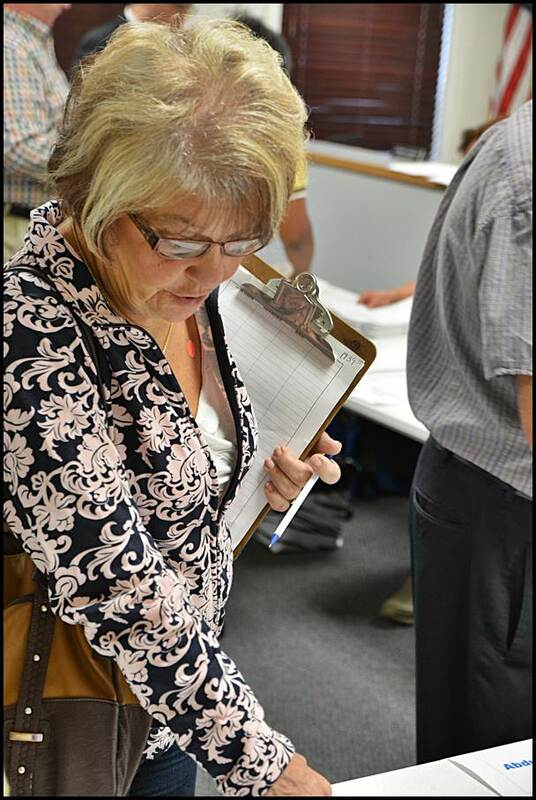 Jay Kennelly, a challenger for mayoral candidate Cathie Gordon, inspects a ballot at last Monday’s recount of the primary election. 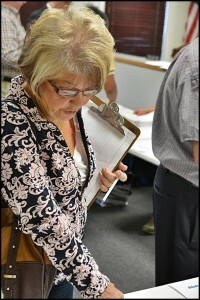 The recount resulted in two vote changes, neither in Gordon’s favor. 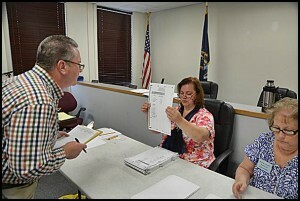 Last Monday’s recount of the mayor’s race and city council term for two years resulted in a change of two votes. But it produced something much larger than that. 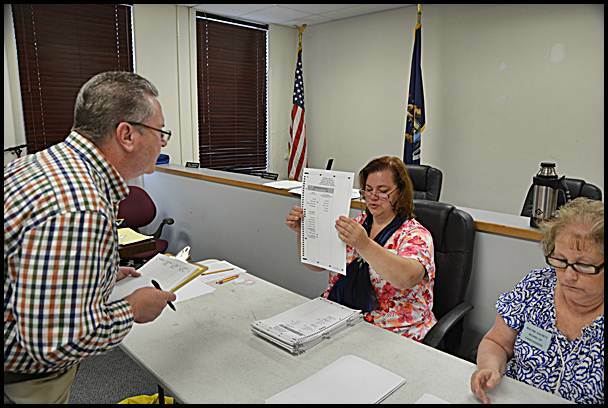 The Wayne County Board of Canvassers agreed with City Councilmember Cathie Gordon and former council candidate Darla Swint that there is evidence of fraud and illegal activity in the primary election. As a result, the board agreed to refer the matter to the chief judge of the county as well as the county prosecutor. But it’s probably too late. The state Attorney General’s Office has already taken up the allegations and is conducting an investigation. Three men illegally submitted a total of 48 absentee ballots from voters they were not related to. State law says that only family members can return absentee ballots if the voter is unable to. Gordon said she was offered 200 votes in her quest to be mayor if she paid for them. Council candidate Darla Swint said Councilmember Mohammed Hassan said he could deliver 26 votes for her in exchange for her support of him in the African-American community. Swint said it’s suspicious that she lost by 26 votes. Gordon said she was also offered a deal by Hassan as well as council candidate Showkat Chowdhury. “I want to hold people accountable,” she added. The recount took over two hours to conduct. At the end, mayoral candidate Abdul Algazali received one additional vote, and city council candidate Abu Musa also received one more vote. Thank you so much for being good citizens and keeping our elections honest Good Job!